In this era of advanced technologies, customers prefer to opt for some unique and sophisticated communication channels such as email, chat and social media. Even when these channels are following the latest technology trends and simplifying communication, none of them can supersede the significance of voice communication. Some researchers in the past had also proved that telephonic conversation plays a crucial role to ensure the delivery of positive customer experience. The advent of speech analytics technology has made these conversations particularly relevant owing to its ability to extract essential agent and customer-related information. Speech analytics analyzes the recorded call data and apply numerous data mining methods to extract relevant agent and customer-related data. However, getting this done right is complicated. Since using speech analytics software is a sophisticated task, it is vital to ensure that the things are done the right way. It is important to remember that the findings revealed using the software can catalyze change across multiple departments. Therefore, it is essential to streamline the process in such a way that both positive and negative findings can be utilized to eradicate unidentified issues. Ensuring this will help in attaining an improved customer experience, boost in sales, minimized costs, and higher customer loyalty. However, it will also serve as a great tool to improve a large number of agent-related metrics or Key Performance Indicators (KPIs) in the contact center. Read on to know how speech analytics software can serve this purpose. 1. Average Handle Time (AHT). AHT is the duration for which a call between an agent and the customer lasts. A higher AHT implies that the agents are taking too long to resolve customers’ queries whereas a short AHT indicates high agents’ skills, proficiency, and knowledge. While a short AHT is commonly considered to be right in a call center scenario, it might also mean that the agents are rushing to end the call. Using speech analytics software can make it easier to measure AHT and identify the reasons behind its variations. For instance, the analysis of call data may help determine the actual reasons behind repetitive customer calls, the kind of customer service delivered, to name a few. It would also get more comfortable to identify the root cause behind customer dissatisfaction. Once all such factors get identified, it gets easier to implement an action plan that may help overcome such barriers and attain a better AHT. Service level refers to the percentage of calls handled within a pre-specified duration or seconds. The faster an agent processes a request, the higher the service level it attains. For instance, a target of 80/20 implies that a call center is trying to answer 80 percent of the total calls within 20 seconds or about 5-6 rings. It is imperative to track this metric closely as it helps one understand the level of customer service delivered and the extent of customer satisfaction and loyalty. Therefore, to make this easier, implementing speech analytics software can serve as a great help. The contact centers use this technology to tap into the actual voice of the customers and bring in the necessary changes. Doing so makes it easier to improve their service level and the quality delivered in these services. 3. Average Speed of Answer (ASA). ASA is the average number of seconds an agent takes to answer a call. For instance, if an agent takes approximately 20 seconds to answer a call, the ASA for the contact center would be 20 seconds. However, there can be situations when the ASA of the contact center is too high in comparison to the industry standards. In such situations, it is crucial to gain such insights that may help in identifying the common performance-related issues of the agents. And, speech analytics software is the right tool to attain this goal. The information collected using speech analytics software can, then, be used to devise a plan that may contribute to bring in necessary changes and improve the overall ASA. An improved level of customer service would also lower the scope of customer dissatisfaction. 4. First Call Resolution (FCR). Repetitive customer calls are one of the major causes of failure of contact center operations. Therefore, it is essential to first focus on improving how these calls are answered and the common concerns that are repetitively raised by the customers. Conducting this analysis will not only help in reducing the number of call-backs received by the agents at the contact center but will also assist in devising an appropriate resolution for such calls. Implementing speech analytics software can make it easier to improve the FCR score of the contact center. Enabling an easy identification of the repeat callers and the reasons for the same, it gets more comfortable for the agents to function in a way that may help improve the FCR score and the performance score of the contact centers. One of the most critical customer-centric contact center metrics, contact quality is measured by monitoring and evaluating the recorded calls held between the customers and the agents. Certain key factors such as the use of appropriate greetings, adherence to call scripts, level of professionalism, delivery of relevant information to the customers, accuracy in data entry, to name a few are used as a basis of this evaluation. With speech analytics, the software is programmed in such a way that makes it easier to evaluate the call data on the metrics as required by you. Once the identification of the agents’ performance flaws gets done, the implementation of corrective measures gets easier, hence, helping you to be a better performing contact center. Adhering to pre-defined scripts is very crucial to the success of a contact center, specifically the ones that deal with sensitive products or information. While monitoring this compliance might be difficult manually, it is better to implement speech analytics software. This software can make it simpler for managers to monitor their agents’ performance as well as keep a close tab on their adherence to the script. It can also help in boosting the agents’ performance at work as well as improve their adherence to predefined scripts, thereby, leading to the delivery of improved customer experience. Repeat calls refer to the number of times a customer calls the contact center to get his/her same query resolved. Such calls not only reflect on the agent’s inability to address customers’ queries appropriately but also lead to an increase in the total operational costs of the contact center. Therefore, it is essential to take the right measures on time as leaving these unchecked may lead to a loss in agents’ productivity as well as reduced customer satisfaction (CSAT) score. In such a situation, it is always better to opt for the speech analytics software that may assist you in the attainment of your goal. Helping one identify the common reasons behind repeat calls, the software will help you attain higher customer satisfaction by improving the agents’ performance and their efficiency level. Doing so, in turn, would make it possible to accomplish a noticeable reduction in cost per call. It refers to the duration for which an agent was busy in delivering customer service or in handling calls received at the contact center. It is good for the contact centers to have a high occupancy rate as the risk of agents’ being bored gets diluted, and they continue to deliver an excellent performance. Many times, certain contact centers are unable to deliver performance at par to the required standards. Therefore, it is always better to opt for such a solution that may help in boosting their performance level and attaining the desired heights. In such circumstances, implementing speech analytics software can be a great idea. Using this software will not only help in identifying the duration for which the agents were busy on call but will also assist the experts in finding ways to attain better agent performance. One of the most crucial agent-related metrics in a contact center, CPC is calculated by dividing the total operational costs by the total number of calls attended for a given period. Determining this value helps one gauge the total cost invested in handling customer calls and queries. Since manually determining this cost is a tough task, using speech analytics software can serve as a great help. Assessing the recorded call data to identify flaws in agent-customer interaction and improving agents’ performance, the software will make it easier to find the right ways to reduce CPC and attain a noticeable increase in its growth and revenue. Attrition rate or turnover refers to the number of employees who leave an organization or resign from a job over a specified timeframe. This rate can be both positive and negative for a contact center. For example, an employee who lacks knowledge leaving can be considered positive whereas if an employee with excellent performance score goes to join a competitor’s business, it may prove negative for the contact center. In such a scenario, implementing speech analytics software can serve as a great help. 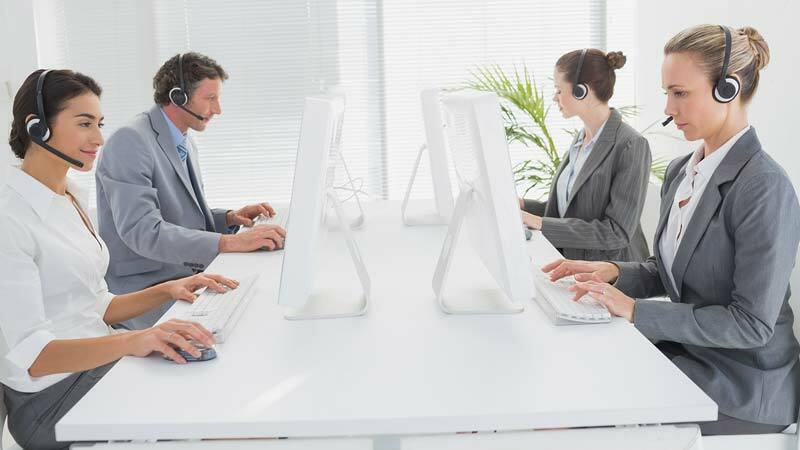 Enabling an easy identification of the flaws in the agents’ performance, the software can make it easier to improve the attrition score of the contact center. For instance, identifying employees with poor performance score can make it easier to shift our focus on better performing lot. It is essential for the contact centers to understand that it is not necessary for businesses making loudest noise to succeed in this competitive market. However, what can provide them an edge over their competitors is their ability to carefully listen and interpret the message hidden in their customers’ voice. Implementing speech analytics software at a contact center is always a cost-saving idea that may benefit the business in the long run. Therefore, it is the right time for the businesses to start implementing ways and technologies like speech analytics to diagnose the conversations between their agents and customers. Doing so, in turn, would enable them to not only boost their performance but also in attaining a higher customer satisfaction (CSAT) score. Vivek Nair is a marketer with over 13 years of experience and heads Marketing at MattsenKumar LLC. He is a Content Marketing Evangelist who believes in the power of good quality content towards business growth. In his free time, he advises entrepreneurs on Digital Marketing (Inbound Marketing), Content Marketing, Social Media Marketing and other offline facets of Marketing.